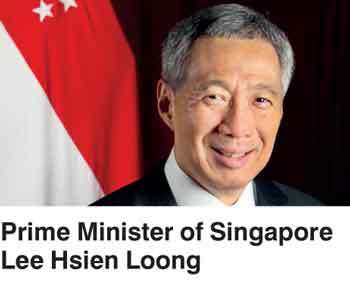 At the invitation of President Maithripala Sirisena, Prime Minister of Singapore Lee Hsien Loong will undertake an official visit to Sri Lanka from 22-24 January 2018. The Singaporean Premier will be received at the Presidential Secretariat on the morning of 23 January with an official guard of honour and gun salute that will be followed by official bilateral discussions with President Maithripala Sirisena. A Free Trade Agreement between Sri Lanka and Singapore will be signed following the talks. During the visit, Prime Minister Lee will also meet Prime Minister Ranil Wickremesinghe and discuss economic, trade and investment cooperation between the two countries. The visiting Prime Minister is scheduled to attend a Business Forum in which leading businesspersons and investors from both Singapore and Sri Lanka will be present. Sri Lanka and Singapore established diplomatic relations in 1979 and enjoy a strong and robust bilateral relationship that has been built on mutual understanding, respect and people-to-people contacts. An Official visit of a Singaporean Prime Minister to Sri Lanka takes place after 13 years.